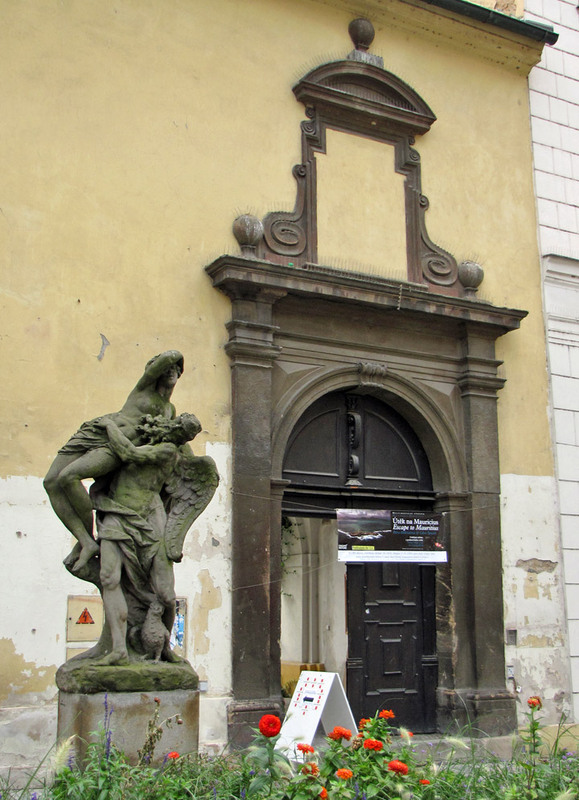 This church was founded by Charle IV, Czech King and Roman Emperor, on September 3rd 1347 and presented to the Carmelite Order. 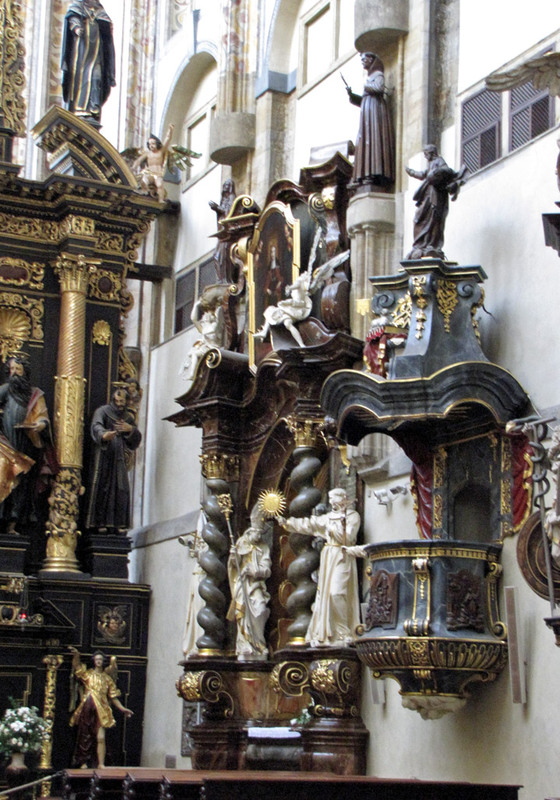 The further fate of this outstanding historical and religious monument was very dramatic. 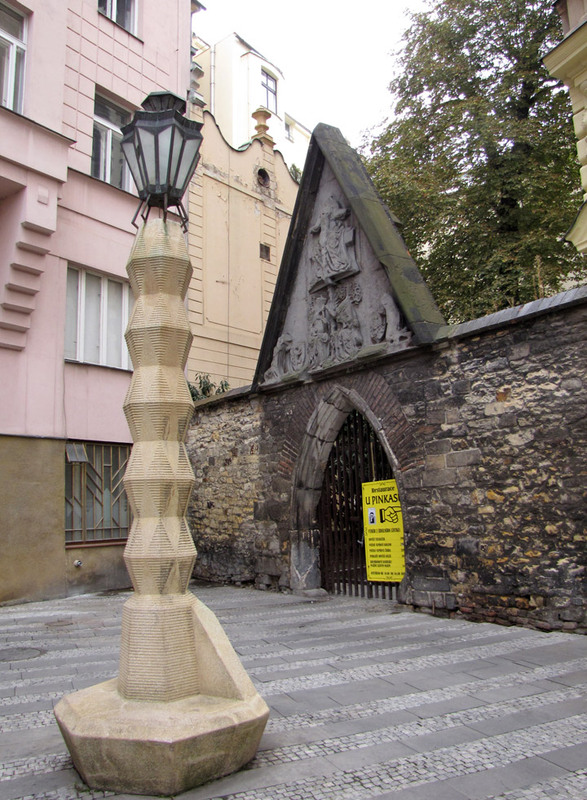 The storms of the Hussite revolution interrupted the construction and prevented its completion. 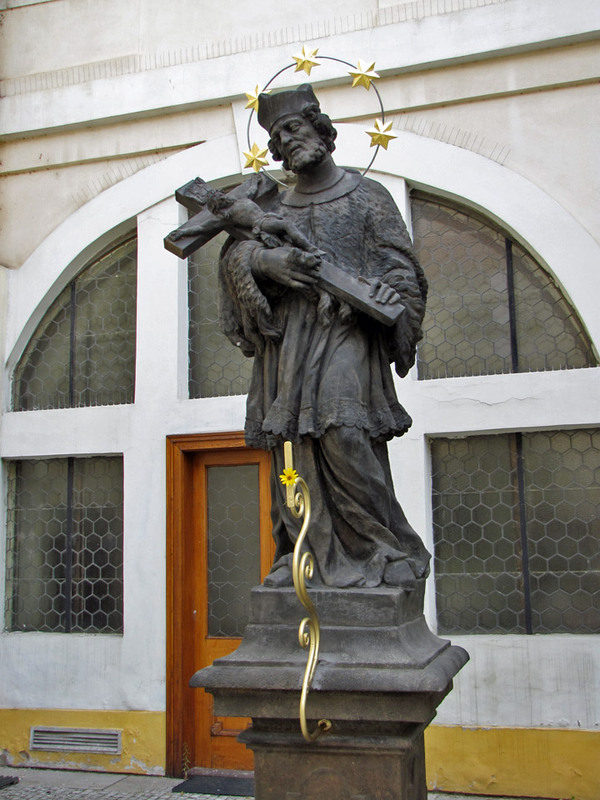 At the head of the Hussite movement was Jan Želivský, who was murdered and buried here. The church was destroyed and the ravaged monastery became the home of poor people. 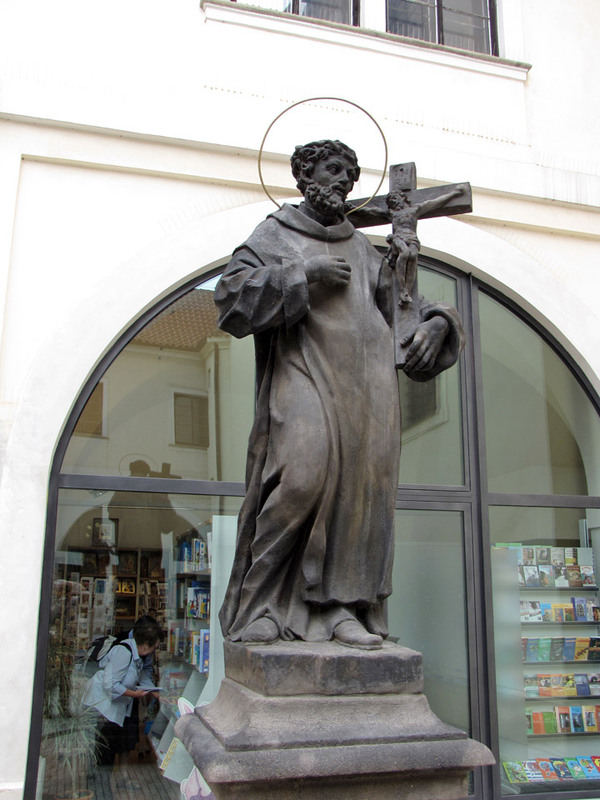 In 1603 the Franciscan Brethern came to Prague. 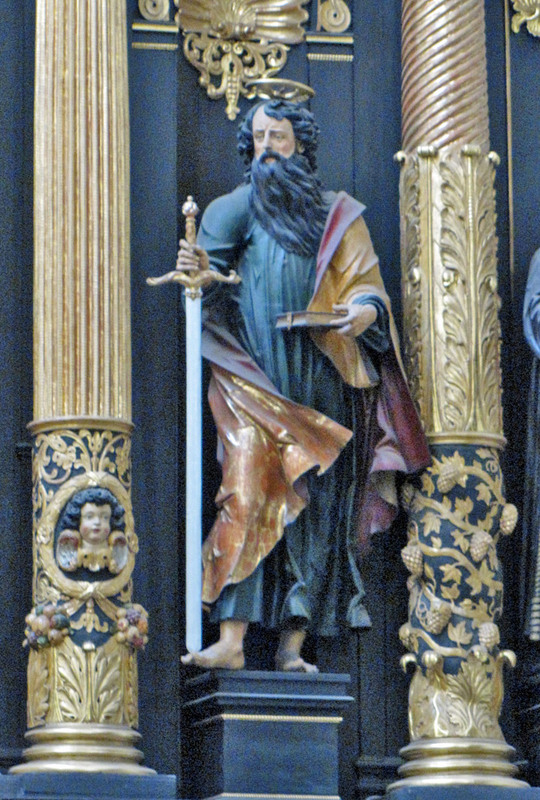 They started to rebuild the monastery and received the Czech aristocracy's help, mainly from Zdeněk Popel Lobkowitz. 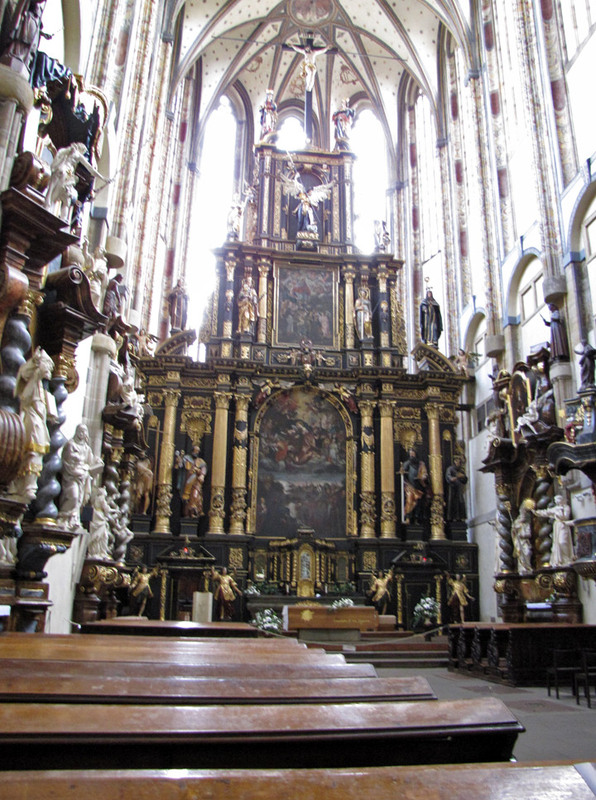 The church was finished in 1610. 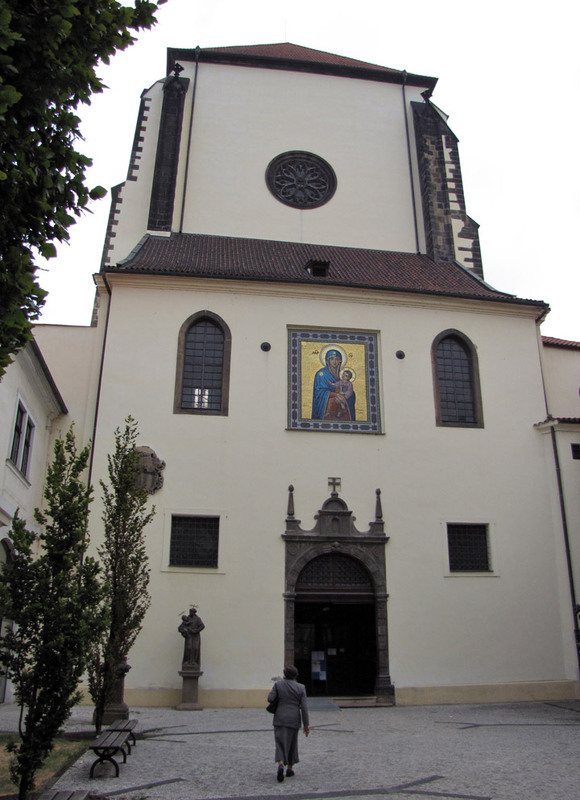 The church of Our Lady of the Snow is the tallest of all in Prague as its height is 39m from the floor to the vault. 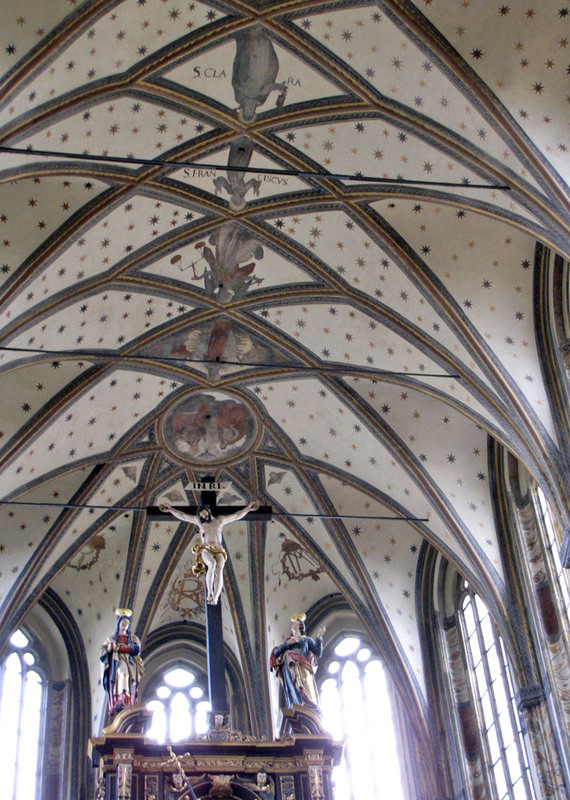 It is built in the Gothic style. 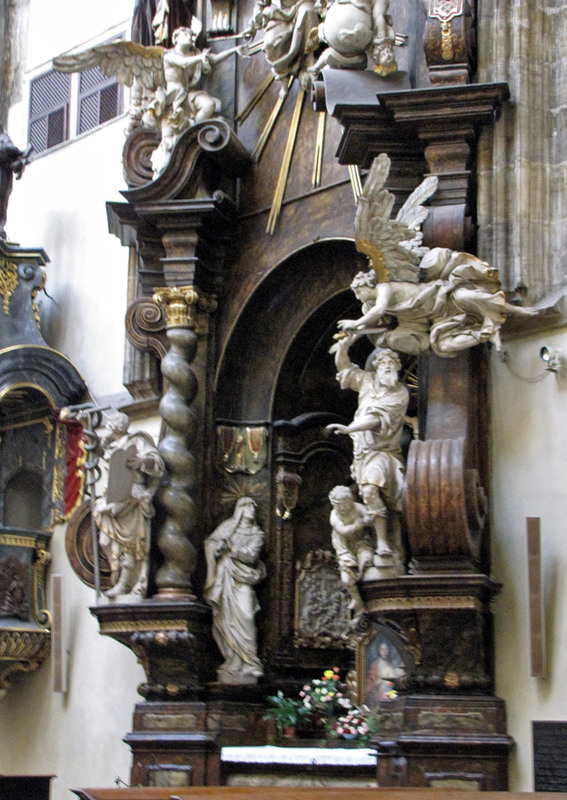 The altar (1625) is a unique baroque artwork. 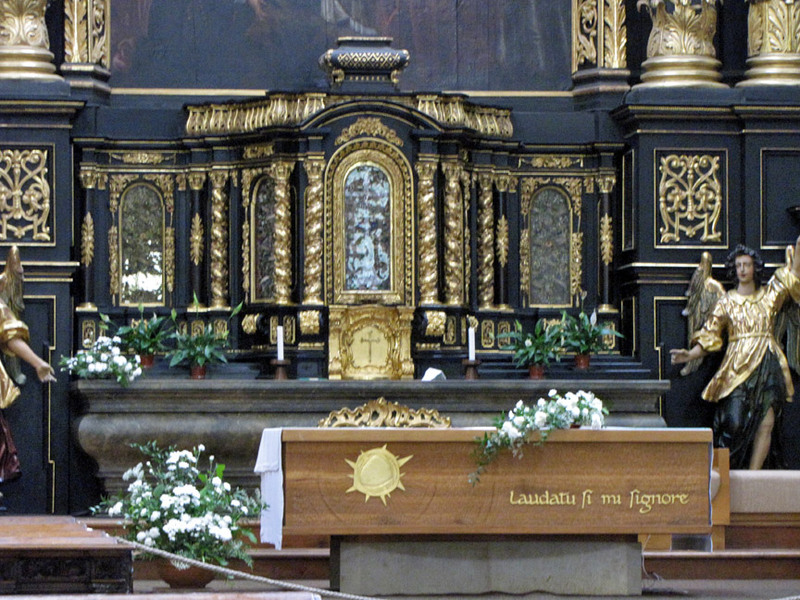 On the altar is a painting by an unknown Italian artist. 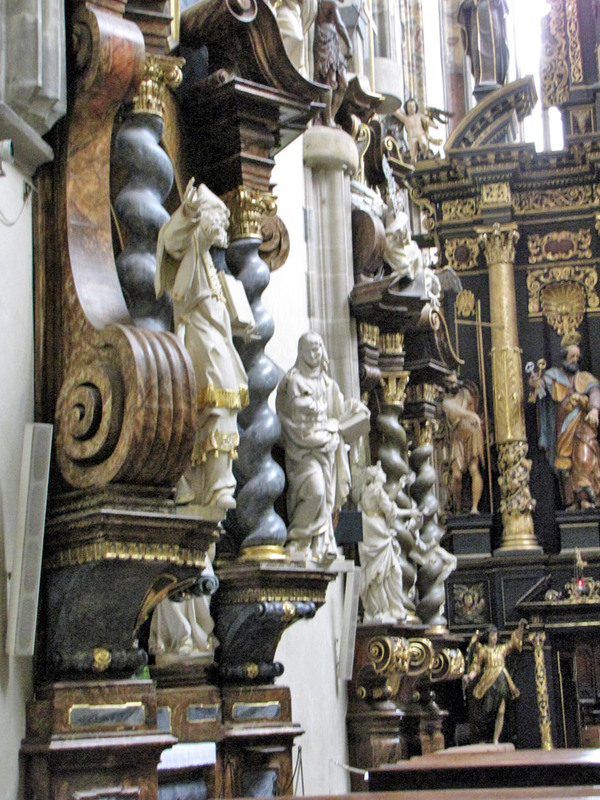 This artwork demonstrates the event from witch the name the name of the church was derived - connect with the church of Santa Maria Maggiore in Rome. 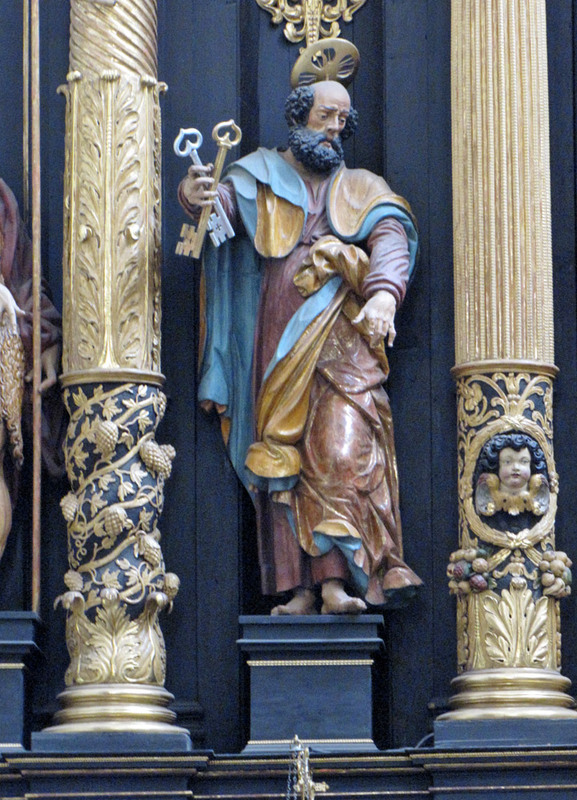 In the church we can find the entrance to Michael's chapel under the choir. In the courtyard. 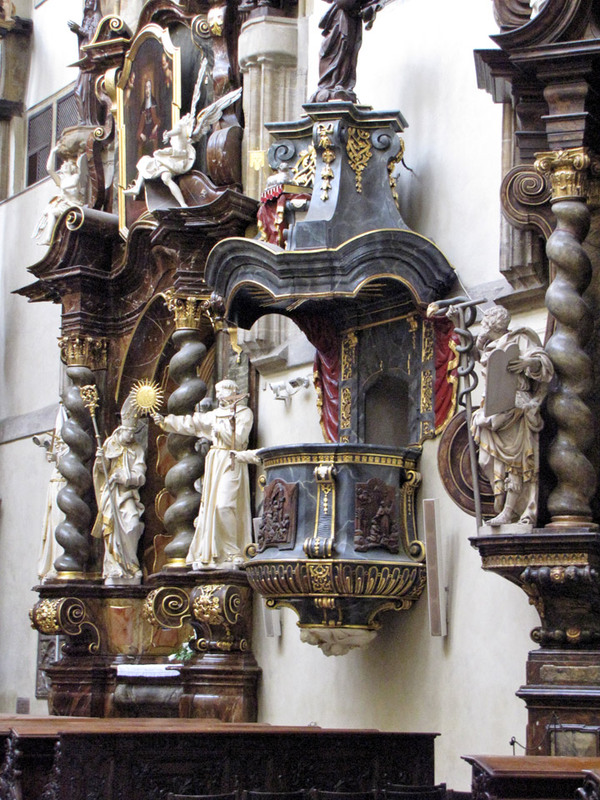 which is part of the intended triple nave edifice are two Baroque chapels, St. John of Nepomuk's and Our Lady Pomocná's. The whole construction is filled with the monastery. At present the Franciscan Brethern live here. They had been forced to leave their monastery in 1950 and came back here in November 1989.